Hi all! We are Leanne and James, Ava’s mum and dad. Firstly, thank you so much for taking the time to read Ava’s story. 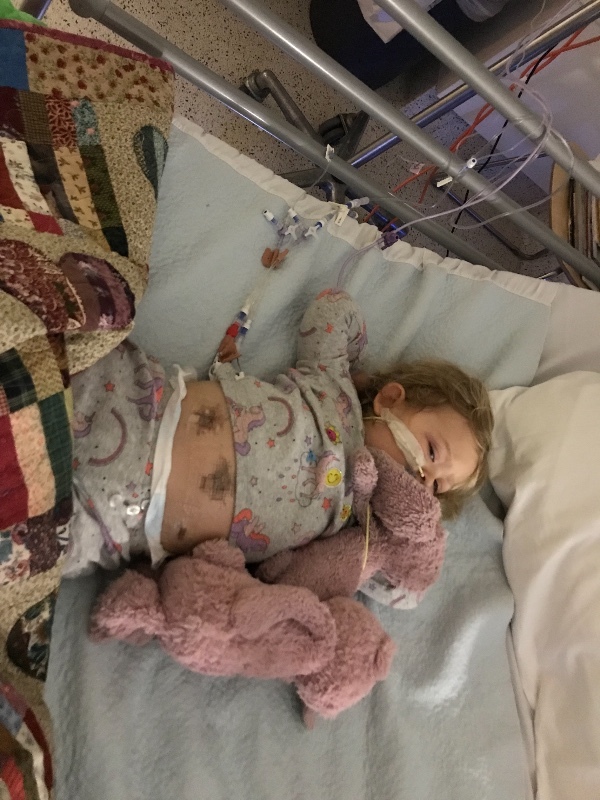 We never thought we would be in the position of asking for support from total strangers, but we are so thankful you might want to help us to save our little girl. In April of this year, just after her second birthday, our precious Ava Bear started acting strangely. 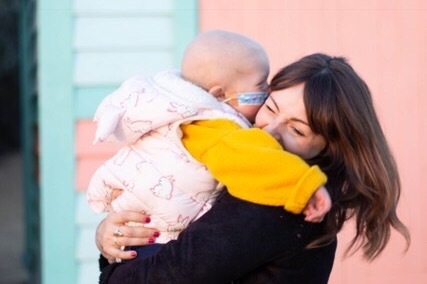 We took her for tests and on 7th April, we got the worst news of our lives: she was diagnosed with Stage 4 High Risk Neuroblastoma, a very rare and aggressive childhood cancer. Leanne was pregnant. Our perfect world fell apart. Since then, Ava has gone through multiple operations and tests and spends more time in hospital than out. Our little fighter has completed her 8th round of chemo now, and it is unspeakably hard to see how sick it makes her. Even once she is in remission, there is a one in two chance of relapse. One in two. BUT THERE IS HOPE! Her best chance is a lifesaving vaccine only available from Memorial Sloan Kettering Hospital in New York City. 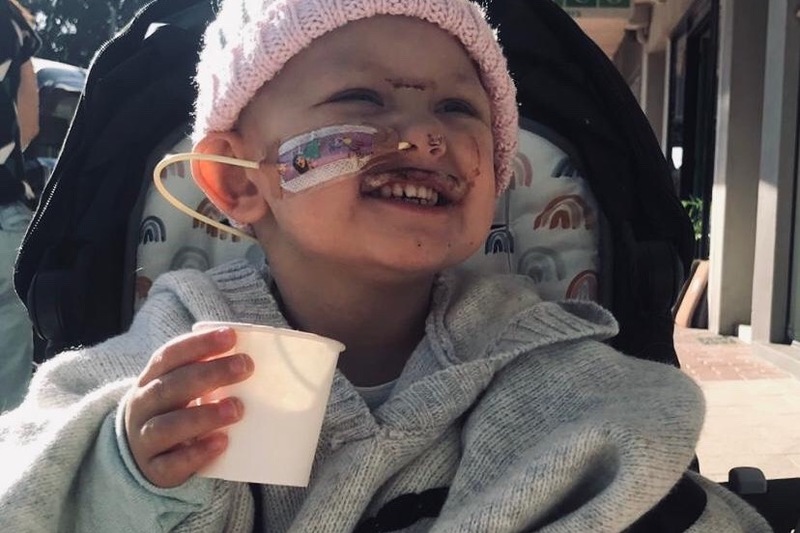 This incredible trial vaccine has been shown to PREVENT RELAPSE in cases like Ava’s-- we cannot let her go through all this chemo and then relapse! That is not an option. But we were stunned and horrified to learn that the vaccine and associated costs are estimated at a shocking $350,000 AUD. We don’t have assets we can sell off. Leanne is working full-time alongside raising a newborn and a sick toddler, and we save all we can. We don’t like to ask for help, but we have no choice, and we are determined to raise the money for our baby girl. This is the purpose of this fundraising page. 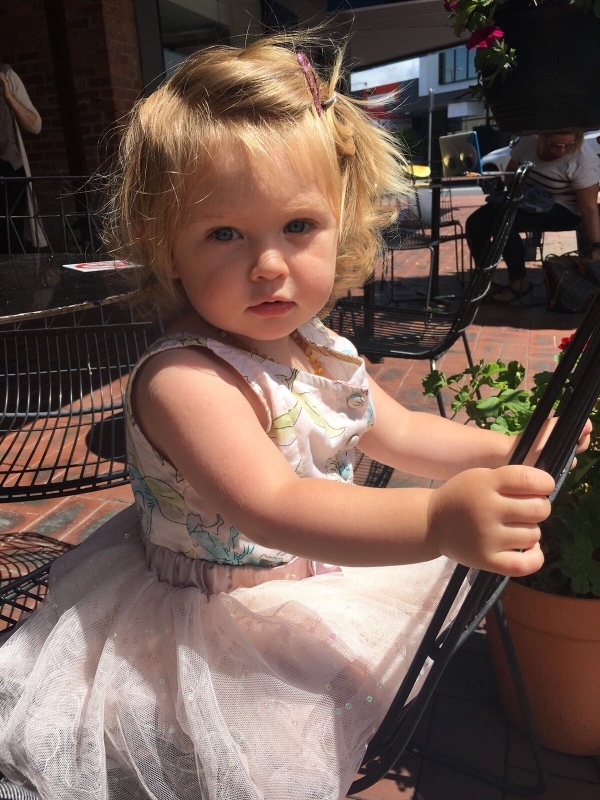 We ask for the help of others to help save our little girl and give her the gift that all of us have and want for our own children - the gift of a happy life. There is no price you can put on your child living past the age of five. 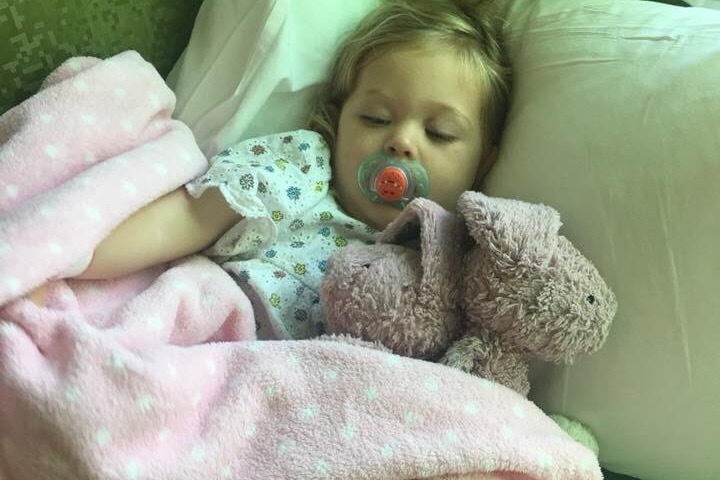 From the bottom of our hearts, THANKYOU for caring about Ava and sharing her story. Your support could be lifesaving. Any questions you may have, please inbox us on this page or contact me directly. Neuroblastoma is a very rare, very aggressive form of childhood cancer. It’s a cancer that primarily affects the adrenal nerve cells. The type Ava has is classed as stage 4 high risk - Ava’s cancer is very aggressive. It’s spread across her body; Ava has a primary tumour in her abdomen in the adrenal gland above her left kidney. This tumour is so large is half the size of the liver and is squashing her kidney completely. Ava also has several other tumours in the bones themselves, the cancer is in her bone marrow, her blood and lymphatic system. It’s even spread in her skull bones and eye sockets. The current rates of survival for Ava’s kind of cancer an average of 40%. We don’t focus on this - we focus on 0-1 and we are adamant she is going to be that 1 - that survivor! 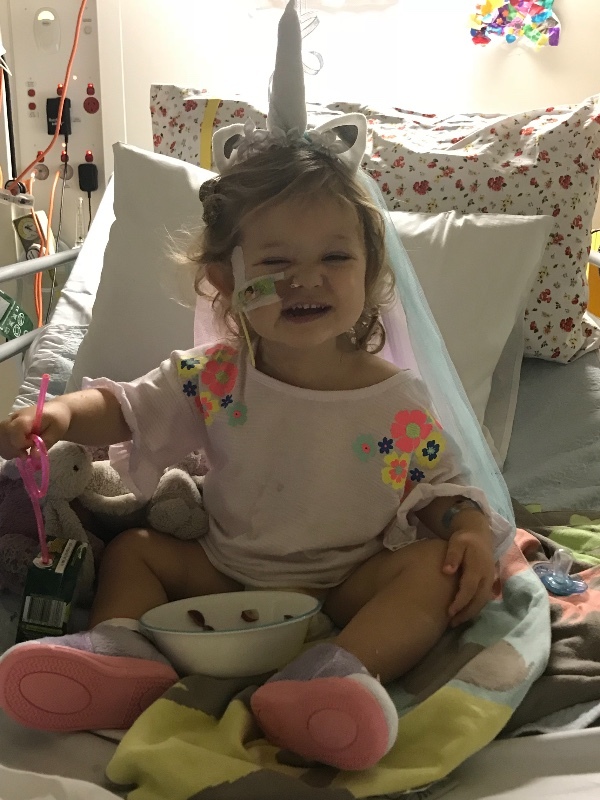 Ava has already started treatment - she is multiple surgeries down, central line and NG tubes placed, ovaries removed and harvested, stem cells harvested, blood and platelet transfusions down, too many medicines and blood tests to count, X-rays, ultrasounds, MRIs, MIBG scans. She’s also had multiple other treatments including weekly dressing changes etc. The main treatment of course is her chemo! Eight rounds down. It cannot be expressed enough how heartbreaking and nerve wracking it is as parents to have to expose our 2 year old to this - these agents are highly toxic! The purpose of chemotherapy is to kill rapidly dividing cells - of which cancer cells fall under this, but so does your own body cells. You lose your hair, you get blisters and sores from your mouth all through the gut and out the other end, you become neutropenic (no neutrophils and so no immune system), low blood cell counts so feel like you cannot even move, not to mention the sickness and pain. Ava has long way to go. And that’s with the hope she will after this point go into remission of cancer. 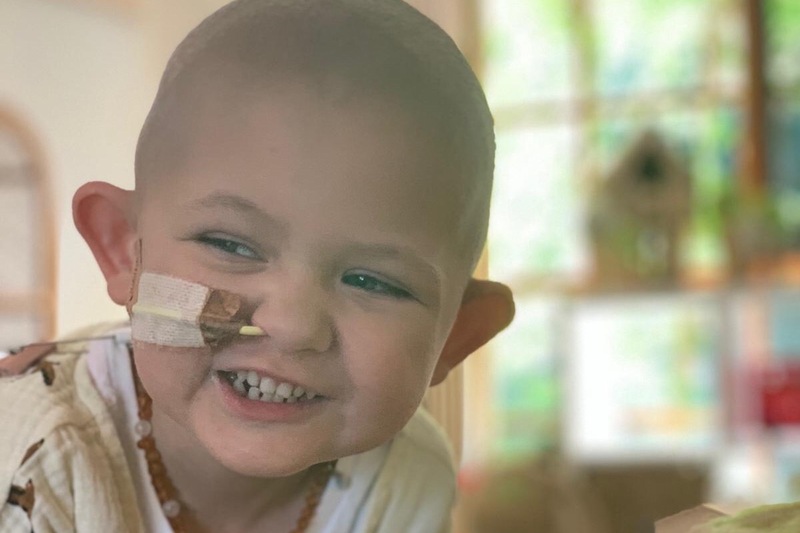 Along this journey she will need transplant chemo, a stem cell transplant, surgery to remove the primary tumour (no easy feat - approx 6-8 hours), radiotherapy and immunotherapy. The most horrifying thing about Neuroblastoma is its tendency to recur. The rates of relapse following remission are high - approx 50%. Of those 50% who then relapse the survival rates are so low second time around that almost all are terminal. We DONT want Ava to go through all of this and risk a relapse. That’s not an option! There is hope - Memorial Sloan Kettering hospital in New York have been trialling a drug which so far has had brilliant results with keeping children cancer free for years longer than ever before. Memorial Sloan Kettering has the world’s very best Neuroblastoma specialists and experts - leaders in their field. Currently this vaccine is in phase 2 trials - this trial being the use of the drug on patients who are in remission with Neuroblastoma (had it first time). 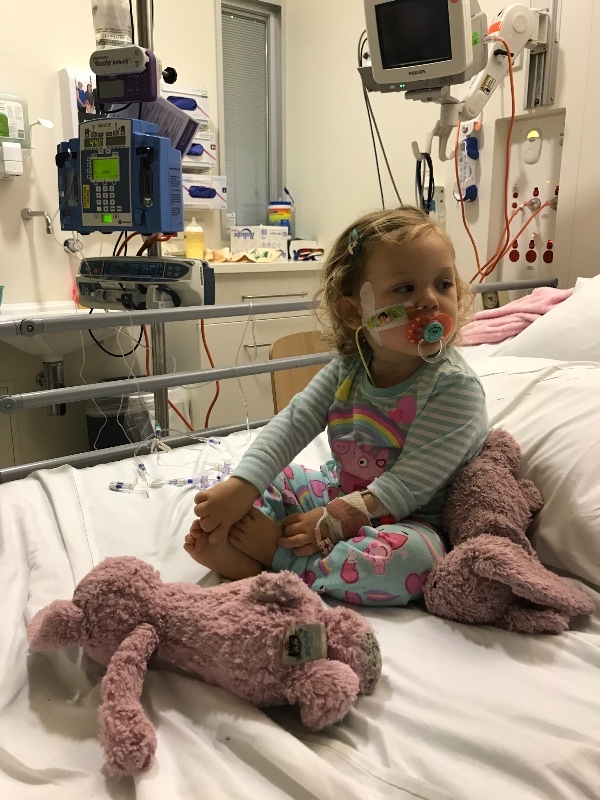 Although Ava has a long way to go on her journey now, it’s likely that this drug will not be available to us here in AU or UK when she completes her treatment. The cost of getting to the US to get the vaccine all in is the sticking point - it’s approx $350, 000 AUD. A LOT of money I am sure you will agree. But what price can you put on a child being given the opportunity to live their life past this age of 5?! We are looking to raise this money by Christmas to ensure that when the time comes we are ready to go to the US to have this treatment without delay and thus risk of Ava relapsing. We don’t have assets such as a home that we can sell or remortgage, and of our own money that we do have we are already saving hard! 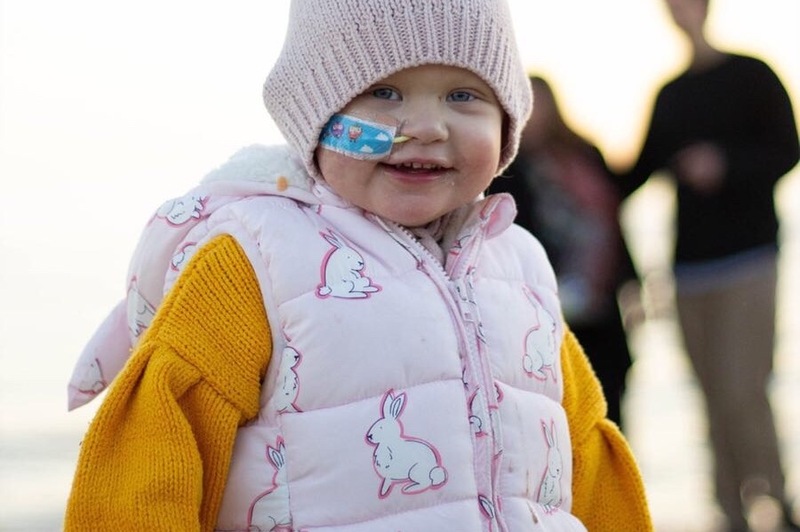 Any extra funds raised that may not be needed for this fund we will ensure are given to Neuroblastoma research to continue to raise awareness and find better treatments to bring about better outcomes to children suffering with this awful disease. Our hearts were deflated and hopeless for so long. No matter how hard she battled, Ava always ended up with not so great results - slow response, still so much cancer. Our hearts are BURSTING, full of hope since Ava’s newest scan results this week. All that Ava has endured has not been in vain and finally, FINALLY she has responded well! Ava’s scans shown that her disease has significantly reduced. She had cancer in most bones in her body. Now she has a spot of active cancer in just one bone in her upper leg. She has some disease still in her bone marrow but again that has reduced significantly. Her curie score (Measures the amount of Neuroblastoma in the body) has reduced to 1! 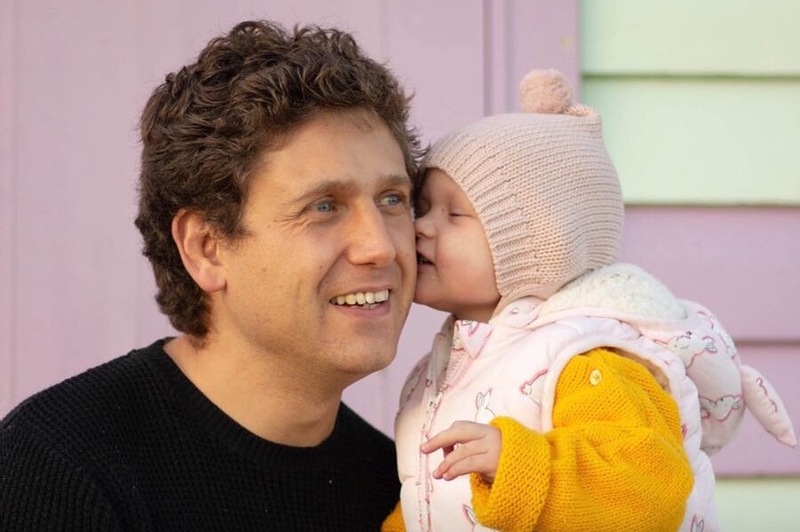 The 7th April 2019 marked the year anniversary of Ava’s diagnosis. It’s taken me a day to write a post... yesterday was difficult. It was raw, I felt broken and couldn’t wait for it to end. 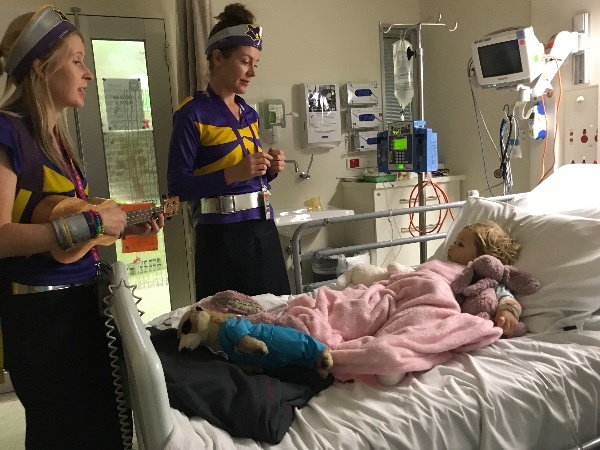 The morning of the 7th April 2018 just before the oncologists walked into our tiny, windowless short stay hospital room; I had hoped for good news - that Ava’s MRI scan the evening before had shown some sort of infection which could easily be treated and we would go home. Instead - I remember the look on the resident doctor’s face - the one that shown how new he was in his career and thankfully how little he had experienced this situation before - the truthful look of fear and heartbreak as they were about to deliver a devastating blow to a parent of a tiny toddler, only just turned two. I remember them approaching it with caution, trying to balance not taking too long to get to the point but stepping gently so not to hit me too hard with “Ava’s scans didn’t show any signs of infection. However we did identify some masses which we believe to be tumours....” after that I remember not much else. A slur of chatter about cancer and then the term... “Neuroblastoma”. Followed by the lead oncologist (whom is still Ava’s treated doctor to date) explaining to me that they believe given how it has metastasised that she is stage IV. My world came crashing down. I remember feeling dizzy. Feeling nauseous and then feeling so overwhelmed that I was now tasked with trying to explain this to James who was on his way to hospital. I remember he didn’t speak. The phone was completely silent. Until he got to the hospital... total silence. Followed by uncontrollable tears. I remember calling him. Followed by calling my mum. Then my brother. Calling my brother was one of the hardest calls to make as this date also happens to be my brothers birth date. A special day marred by the memory of Ava’s cancer diagnosis. Since then, this has been a journey filled with of course so many excruciatingly painful lows. Learning more about Ava’s type of cancer, her prognosis and the difficulties with relapse left us on many occasions feeling terrified and defeated. Sure that we would lose her. Learning after initial treatment she hadn’t responded well, needing more treatment. Needing two transplants instead of one. Watching Ava struggle with pain and suffering through treatment has most definitely left James and I traumatised. It’s been a journey of self discovery - we have truly learnt just how much we can take and still rise again. How we can still remain positive amidst so much sadness and negativity that cancer brings with it. I feel like now there wouldn’t be much else that could break me. Our resilience unwavering, hope unfaltering. We have so much admiration, love and respect for our darling Ava Bear that words simply cannot describe - she is such a brave soul. A happy soul. And the more she is made to suffer on this journey, the more she fights with the true spirit of a warrior. This journey over the past year has actually been filled with many highs also. In the face of such sadness comes so much love from those around you. We have been filled to the brim with love and support from our family, our friends and beautiful strangers. We have felt more connected to others during this journey than ever before in our lives. The encouragement we are given regularly truly helps us continue on and we are so so thankful. Ava one year on is doing great! She is in less pain from the cancer in her bones, the cancer is reducing. She’s battled through 8 cycles of chemotherapy. Major surgery to remove the tumour, 2 stem cell transplants and many other medical interventions in between. 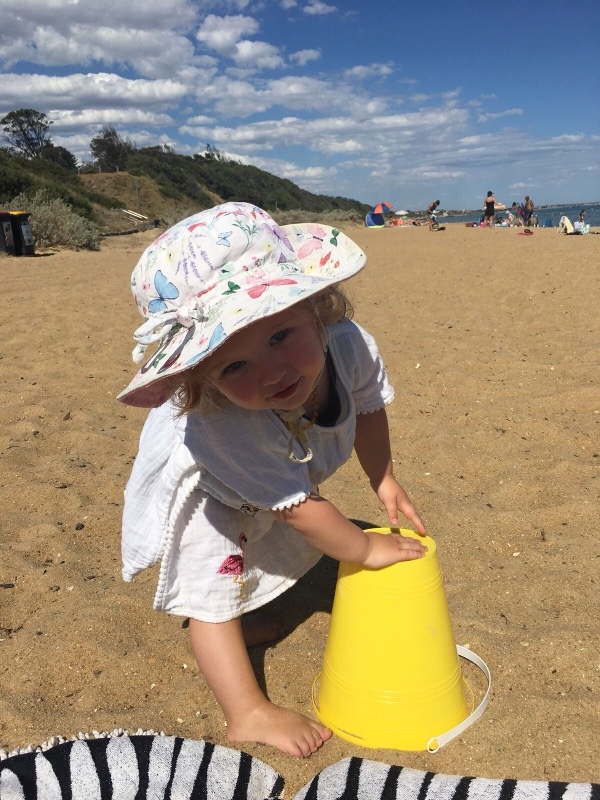 It baffles me how at the tiny age of 3 years old she has survived all of that to be honest - but she has and she is and she’s doing it with all the sass! 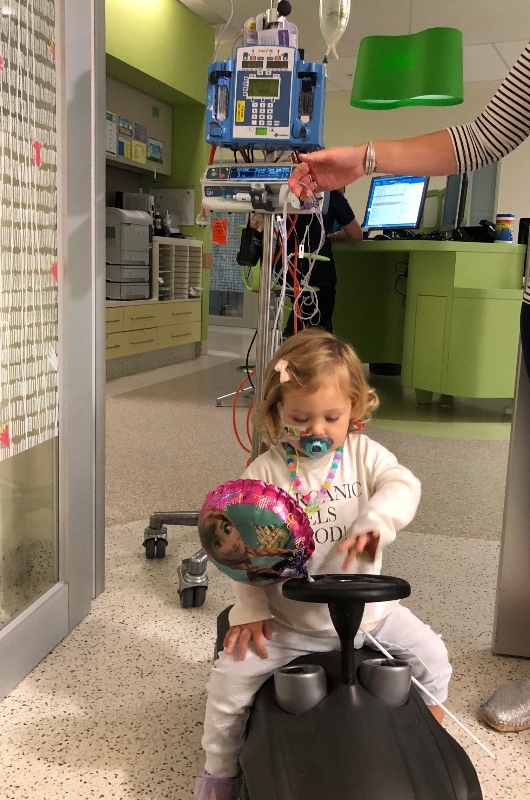 Ava’s journey continues.. on Wednesday Ava has scans - MIBG, CT, MRI and bilateral Bone Marrow aspiration to determine where her cancer is at now following the tandem transplant. Scanxiety has well and truly set in. But as usual we remain hopeful. Day +58 post Stem Cell Transplant Number 2. 28th March - AVA IS HOME!!!!!! 3 months in hospital. 3 months that we haven’t yet let ourselves absorb and accept. The traumatic events experiences throughout that time are hard to think about and I’m not ready to face them fully. 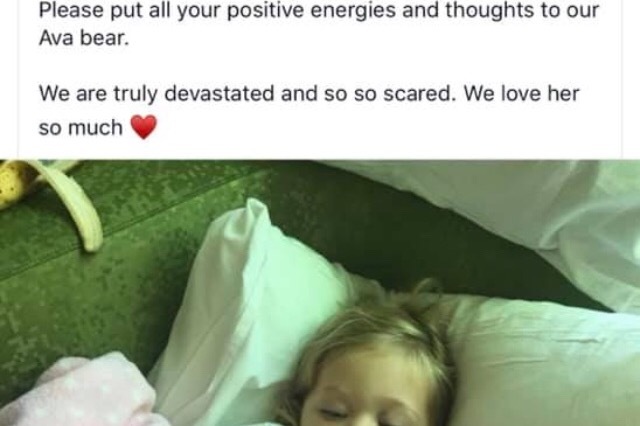 Ava was so sick, sometimes so much so we truly feared she may not make it through. The treatment was heavy, it pushed her tiny little body so hard, made worse by the toxic accumulation of chemo given she had just had a transplant and 8 cycles of chemotherapy before that. But considering what she has been through, gosh she is making the most of life outside! She’s generally so happy! As you can see in this photo - she enjoyed her babycino date with daddy, going to the beach, the park, doing yoga with mummy, helping cook. She even managed a weekend away these past 2 days with Camp Quality ♥️ All this in just a few days - but she’s loved every minute! Home. Relieved. Shellshocked. Vulnerable. Emotional.Excited. All at the same time. It’s amazing having her home, but it’s also difficult. 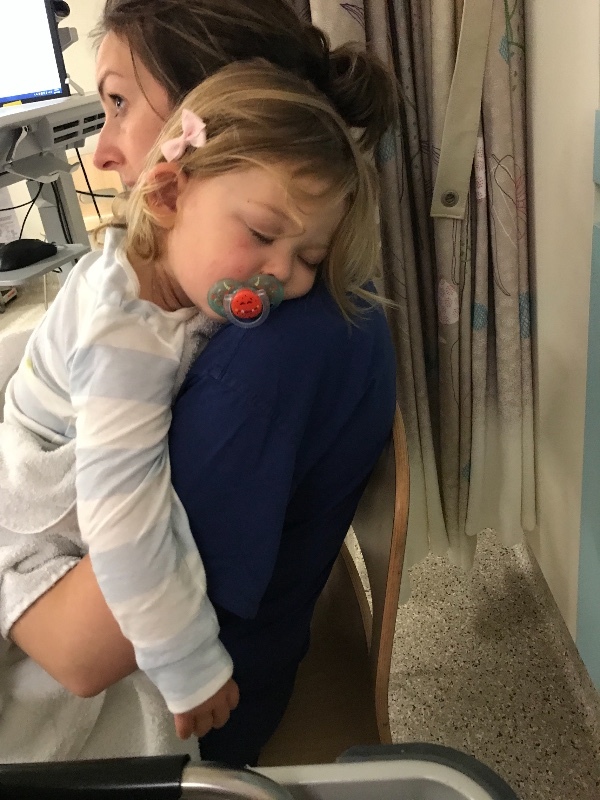 We are used to round the clock support from nurses and now the difficulties of caring for a child gone through treatment like this falls to us to manage, whilst expecting life to resume as normal. I think for us the most difficult part is our fear. The constant worry of whether she is ok. I now worry when she goes to sleep about her breathing, worrying about her vomiting so much and not getting enough nutrition, worrying about needing blood and platelets. I can’t help feel she is so fragile now after all the treatment. But she’s proving otherwise - she is incredible. Her strength is awe-inspiring. She doesn’t feel fragile, she wants to be a normal little toddler playing and having fun. So that’s what we will encourage and not allow our fears to get in the way of that. In just over week, Ava will be going under general anaesthetic again (it makes me shudder when I think about how many times she has had a GA in this past year). She will be having all scans - MIBG, MRI, CT and bone marrow biopsy. We will learn how much of an impact the transplants have had on her difficult to treat cancer. I’m of course terrified, but remaining hopeful that it’s finally going to show some good response. If indeed she’s had a good response, Ava will begin the next phase of treatment.. radiotherapy. So this will be a short but sweet break, that we will try to make as fun, meaningful and comfortable, before Ava’s fight continues. This is the video shown at Ava’s Gala and put together by a wonderful friend and it’s just amazing! It also serves as a reminder of why we started fundraising in the first place - to get Ava the treatment to help keep her alive. This video makes us smile, laugh and cry all at once! Particularly the first video of Ava’s first smiles as a baby. we hope you enjoy it too. Today it’s been like going through firsts all over again for Ava.. the transplant has left her weakened and due to her not moving for nearly 4 weeks now she cannot walk or really move at all. So today and every day from now, physio are helping Ava move again. Today she begun crawling on a play mat just a little. It was lovely to see her moving again. And I’m sure soon enough the usual Ava who runs wild around the ward will be back on form! The end (of transplant) is in sight... and oh how we cannot wait to be home. But this is by far from the end for Ava’s treatment. Ava still has more than a year to go. With radiotherapy, immunotherapy, Vaccine in New York and then ongoing check ups, scans, side effect related visits etc. We absolutely need to do everything possible to ensure that whatever treatment Ava needs for her survival we get. And for that we need support. 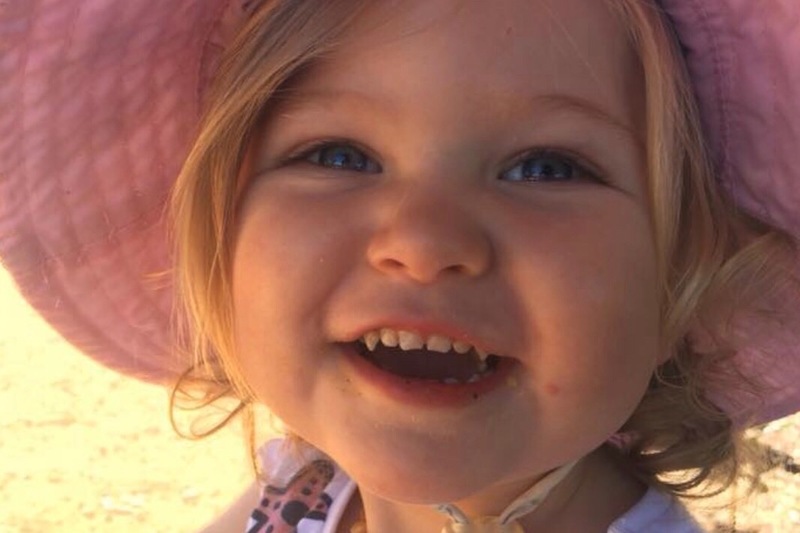 Support from the wonderful people whom have been following Ava’s Journey - whether that be a donation however big or small, or even just sharing her page to raise awareness in the hope that others may have the means to help support our fundraising efforts.